You need a competitive advantage in your workforce – diversity is the answer. Embracing diversity and inclusion strategies in the workplace is often thought of as being too hard for organizations. But not addressing diversity challenges is impacting your business negatively. We all must strive to provide a work environment in which we can all feel good to bring our whole selves. By creating these inclusive environments, leaders benefit from employees with a stronger sense of well-being, stronger employee retention, engagement, and productivity. And ultimately that’s smart business operations sense. As a business leader, you are in the position to make a real difference by incorporating diversity and inclusion at the core of your business. 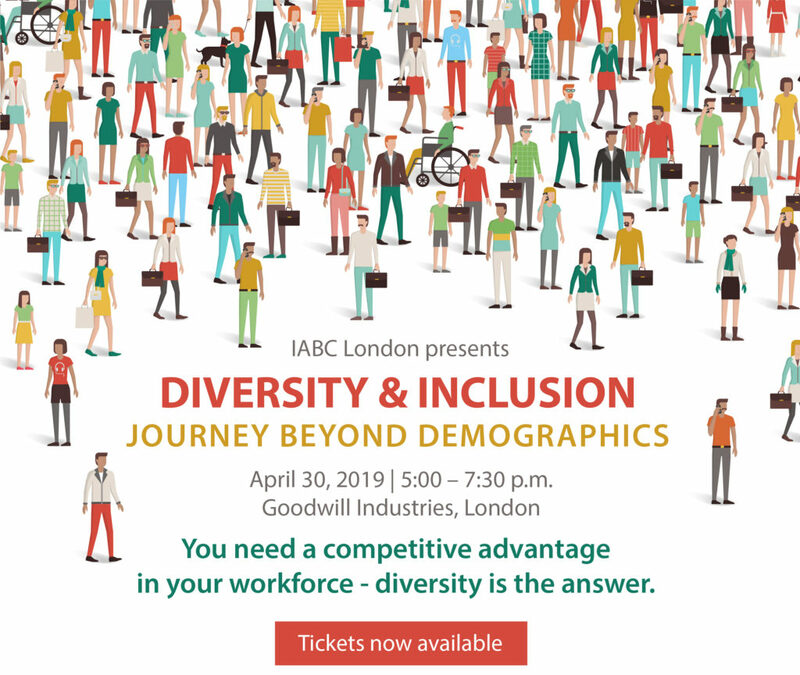 IABC London is here to show you how to go from best intentions to actualized practice that can make you a shining example of best practice in your industry, with a competitive advantage that will be enviable. Please be advised that photographs and video will be taken at the event for use on the IABC London website, social media profiles, and in IABC London marketing materials online and in print. By attending this event, you consent to IABC London photographing/video recording and using your image and likeness.